Spring has sprung, and that means all sorts of flowers and flora are in bloom. Unfortunately for some pets, this time of year also brings painful allergies. Notoriously tricky to diagnose, allergies in dogs require time and patience to properly treat. It’s important to help your pup feel as comfortable as possible, no matter how unpleasant the allergy symptoms may look or feel. Sudden changes in behavior or physical appearance are a sign something is wrong: run, don’t walk to your vet! Allergies in dogs are rarely fatal, but they can strongly affect a pet’s quality of life, even leading to depression. Maintain the strict treatment plan set by your veterinarian in order to resolve allergies in dogs as quickly as possible and Fido will be back to mischief-making in no time. 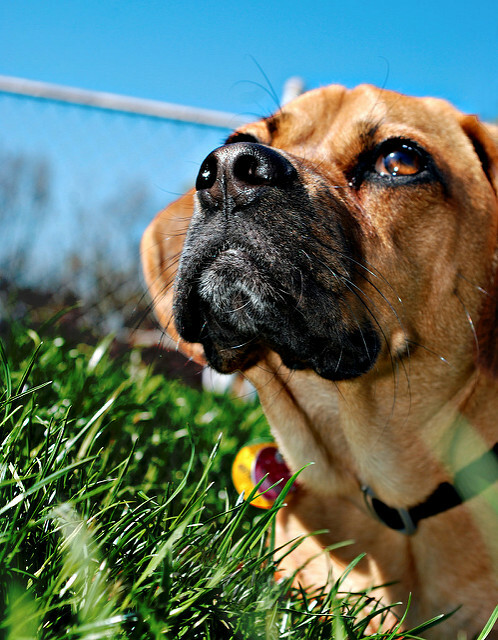 What Causes Seasonal Allergies in Dogs? Airborne allergens are usually to blame for dogs’ allergies, but instead of affecting the respiratory system – as they do in humans – extreme itchiness results. Known as atopy, this seasonal itchiness is genetically inherited. Symptoms may set in suddenly at a young age, typically six months to three years old. Female dogs are also more prone to allergies, although males are commonly diagnosed, too. The specific allergen affecting your pet depends on the time of year as well as where you live, but can include pollen, mold, dander and any airborne particle. Roughly 10 percent of dogs are predisposed to these environmental allergies, with some breeds more susceptible than others. Shar-Peis, Golden Retrievers, Boxers, Labradors, Shih-Tzus, and Boston Terriers all have a higher risk of developing allergies. Atopic allergies in dogs develop due to a genetic predisposition passed down from their parents. 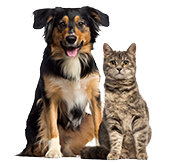 Pets have heightened immune responses to specific allergens, which trigger symptoms like extreme itchiness and excessive grooming. Areas most commonly affected by allergies in dogs include feet, ears, front legs, face and belly, but scratching can be widespread. If a pet itches too hard their claws can break the skin, creating secondary wounds become infected. Hair loss, also known as alopecia, is another symptom of allergies in dogs. 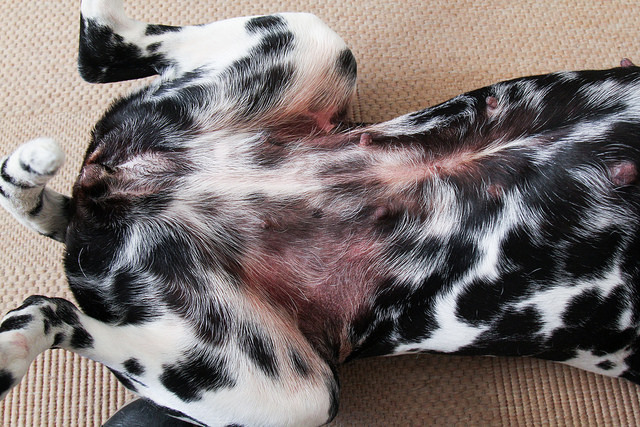 Prolonged scratching can tear out patches of fur in “hot spots” all over the body; these scaly, scabby areas are extremely painful to the touch for dogs. The first step is to identify what your dog is allergic to. Allergy testing is often conducted, where a veterinarian tests pets’ immune responses by pricking small samples of allergens under the skin. Once the offending substance is known, pet parents can choose a strategy of avoiding it or engage in immunotherapy. The treatment works by gradually increasing a dog’s exposure to an allergen, lessening the immune response each time. However, immunotherapy for dogs is an expensive commitment – $150 to $1,000 per year – especially without pet insurance, and results may not be seen for six months to a year. If immunotherapy isn’t an option for your dog, the only thing left to do is avoid the allergen. If the culprit is pollen, consult local forecasts and avoid walking your dog outdoors when levels are high. Anti-itch medications and ointments may be prescribed by your vet as well or dietary changes. A pet with allergies may be in constant pain or unable to go outside, both of which can lead to depression in dogs. Pay special attention to your pup during this time and use treatment as an opportunity to bond! 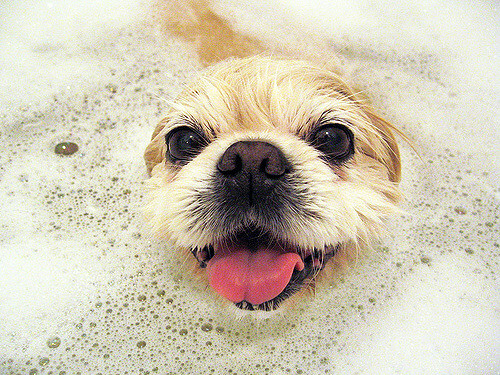 Warm oatmeal baths soothe raw, sensitive skin; ask your vet about prescription shampoos to relive painful skin allergies in dogs. 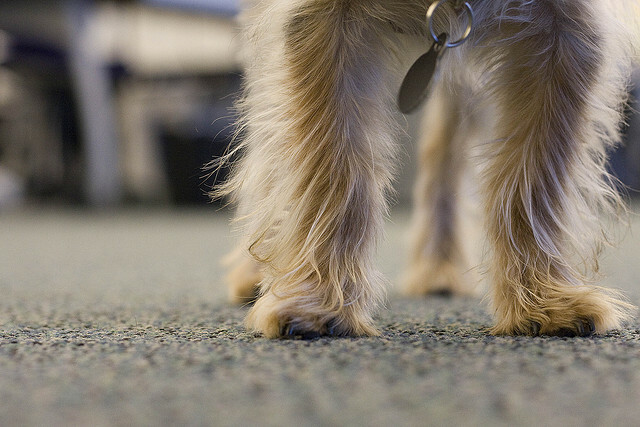 If you’re short on time, soak just Fido’s paws. Prevent pollen and other environmental allergens from entering your household by removing shoes and outerwear in a separate, closed-off room. Vacuum regularly, especially around your pet’s favorite spots, and consider installing air filters as a permanent solution. Use all-natural, pet-friendly cleaning products – especially airborne sprays – and try a natural diet, too. Ask your vet about prescription foods or the possibility of food allergies in your dog as well; it’s not uncommon for grain or other ingredients to stimulate whole-body inflammation.